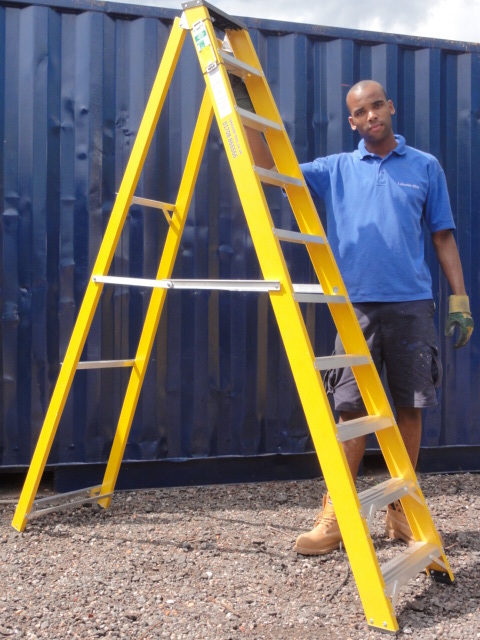 This 10 tread step ladder gives a max reach height of 3.3m. Made using non-conductive fiberglass, these GRP step ladders are suitable for work where high risk electrical hazards exist. Ideal for use where electrical hazards exist.